If you're looking for either a broadband deal or a SIM card deal and you're looking to upgrade your PC, then a free laptop deal could be perfect for you. There is a huge range of free laptop deals available on the market so it will be easy to find something that meets your requirements. What Are Free Laptop Deals? Free laptop deals allow you to split the cost of a new laptop across the length of a contract from as cheap as £15 per month. It works just like getting a new mobile with a SIM card contract. Depending on the deal you choose, chances are that you will pay a similar price to that if you buy the laptop separately but you will still enjoy the convenience of no large upfront payment. Are Free Laptops Really Free? Free laptops are free but not free of any obligations. You will be expected to sign an 18 or 24-month contract and pay a premium on your monthly home broadband, mobile broadband or mobile phone bill. But even if not completely free, you will get it at a discounted price - you pay between £5 and £10 per month more, which is a total of £120 or £240 for 24 months which is less that the price of an average laptop. 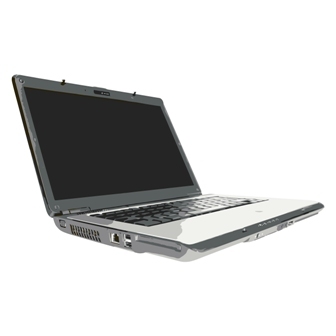 The most popular free laptop with mobile broadband deals at the moment come from the major mobile broadband providers - 3, Vodafone, T-Mobile, Orange and Carphone Warehouse. All mentioned providers offer a wide variety of deals to suit every budget and usage. Out of these providers, Three are currently offering the widest range of mobile broadband with free laptop deals. You can get 2 different Samsung laptop models with Three with a range of price plans between £30 and £40 per month. The Carphone Warehouse are offering a free HP or Compaq laptop with a large range of HTC or Blackberry mobile phones. Prices are between £26 and £36 per month and you will have to commit to a 24-month contract. - Processor: Look for higher GHz in the specification because the processor is the brain of your PC. - Hard Drive: Look for more gigabytes of space (GB) because this is the amount of data you can store on your computer. - Operating System: Most free laptop deals come with Windows 7 and it is recommended to avoid Windows Vista; Windows XP is still a good option though. - Screen Size: Most laptops have a 15.6-inch screen and we recommend not to go for a screen smaller than that.